Capcom is localizing the Phoenix Wright: Ace Attorney spin-off, Gyakuten Kenji, and are releasing it under the new title 'Ace Attorney Investigations: Miles Edgeworth'. The game will have players "investigating crime scenes and putting the pieces together to bring perpetrators to justice". The game is slated for a winter release, so sometime around October to December. Thanks to CockroachMan for reporting the news! 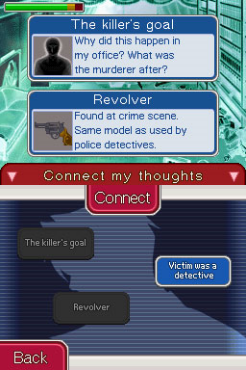 [TWLoader/nds-bootstrap problem] Ace Attorney Investigations black screen. Opinions on Ace Attorney Investigations 1 and 2?